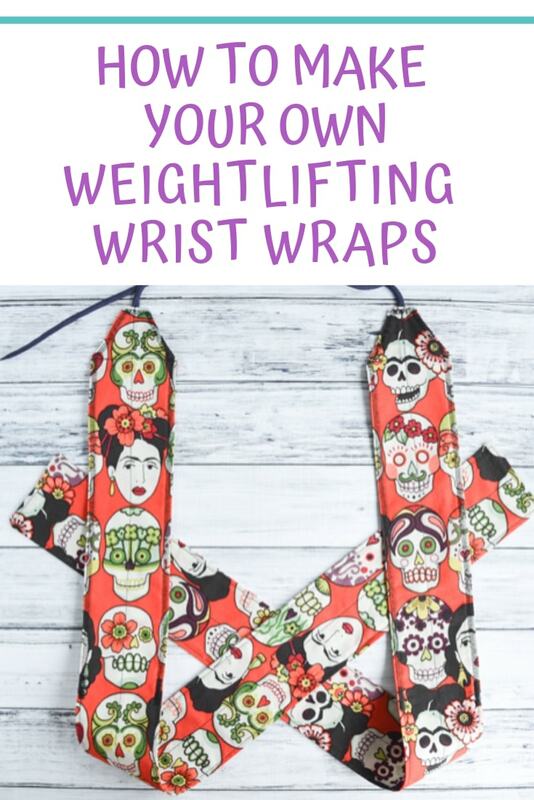 Welcome to my weightlifting wrist wraps pattern post! It’s one of my most popular tutorials because these wrist wraps are so easy to make and are incredibly helpful at the gym. 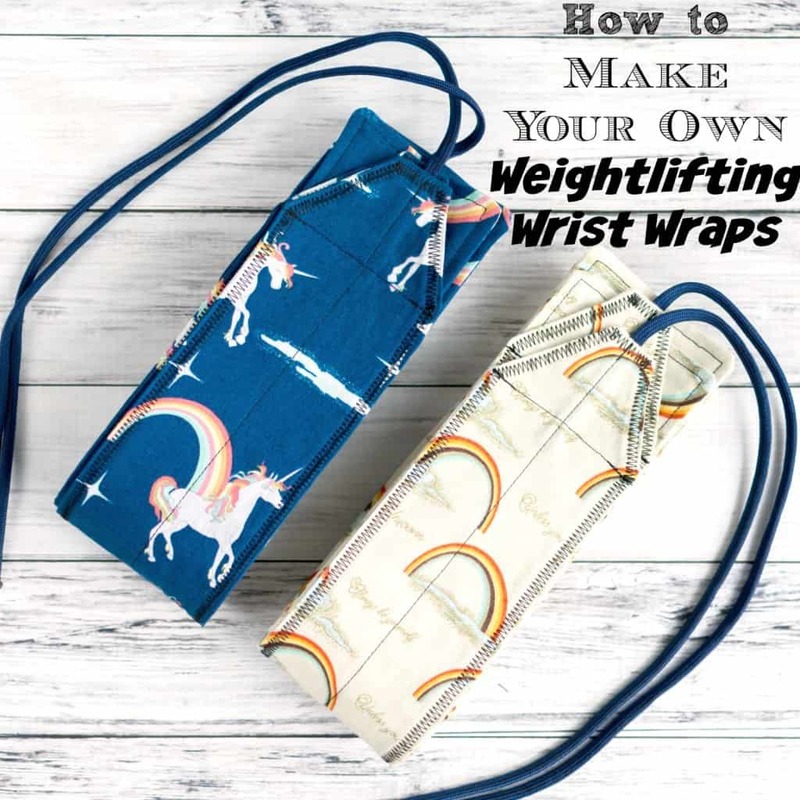 With this tutorial, you can make fabric wrist wraps that are great for weightlifting, Olympic lifting, CrossFit, etc., and you can alter the pattern’s length to suit your personal needs if you have larger (or smaller!) wrists. 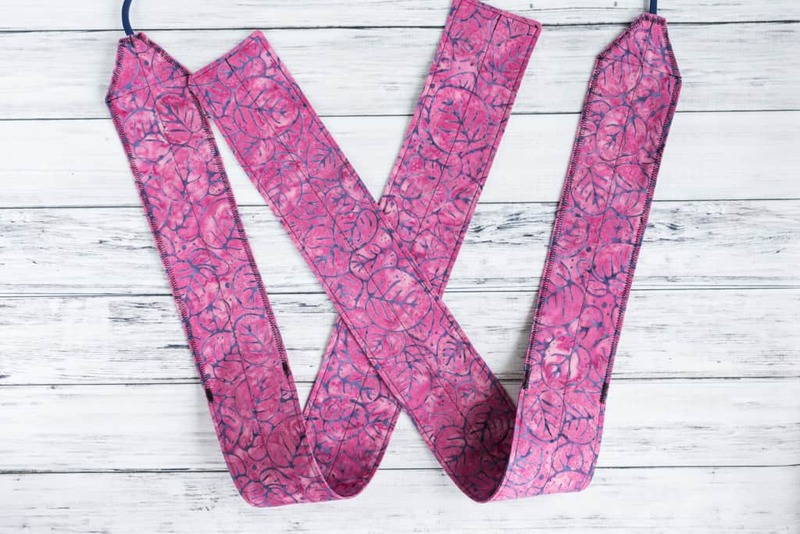 This tutorial has lots of photos and written instructions to help someone who at least knows how to use a sewing machine create a pair of wrist wraps. I’ve tried not to assume too much sewing terminology knowledge, but please let me know if you have questions. Also, this method works best with mid-weight fabrics. Due to popular demand, I now also have a tutorial showing how to make heavy duty wrist wraps with fabrics like canvas and cotton duck! 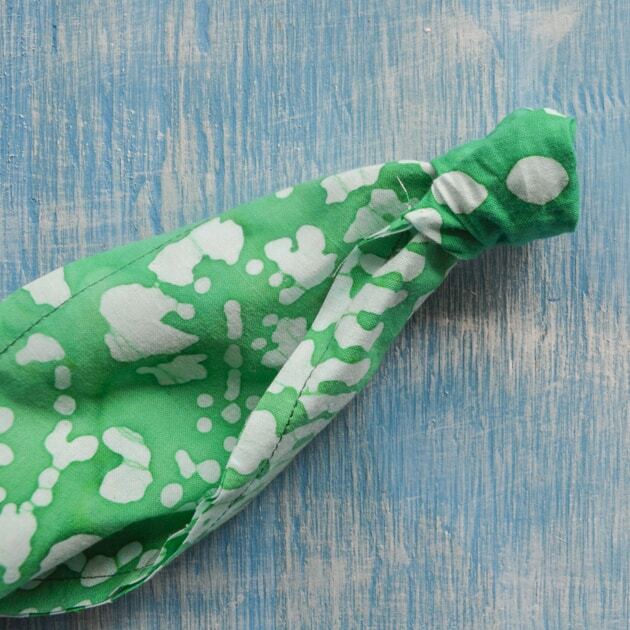 If you don’t have any experience sewing but want to learn, this is a great beginner project. One of my favorite resources for learning new skills is a site called Craftsy. Update: They’re now called Blueprint! They have professionally produced, HD video classes on a ridiculous variety of subjects. 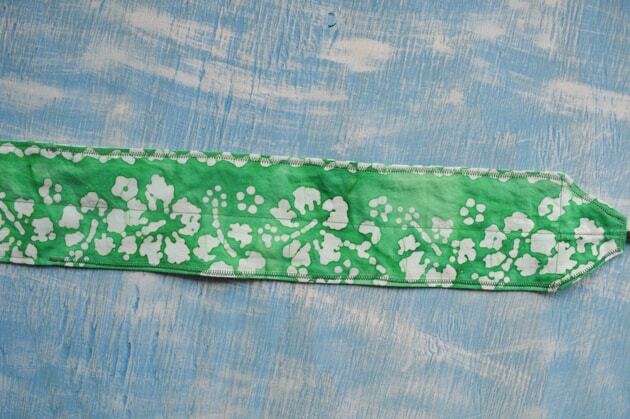 As a quick note on the fabric – I say to use 1 yard, but that’s really the maximum amount you’ll need. It depends on the design of your fabric and how you want them to look. 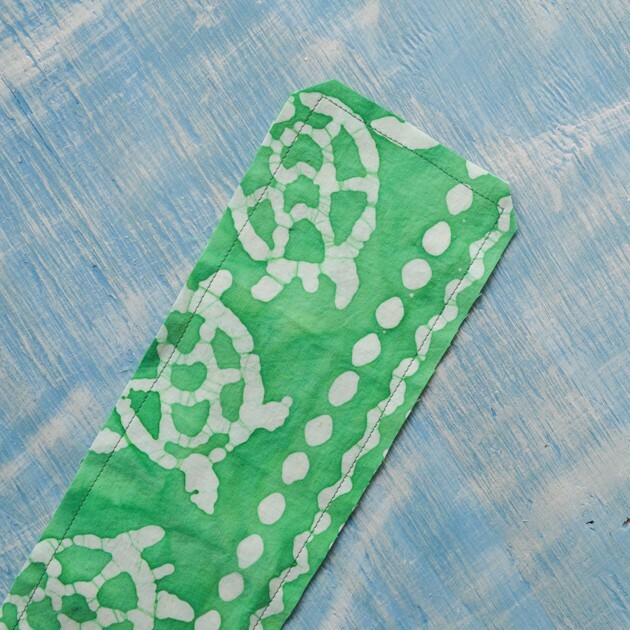 If the design looks good vertical, or if there is no design, you’ll only need about 1/2 a yard. 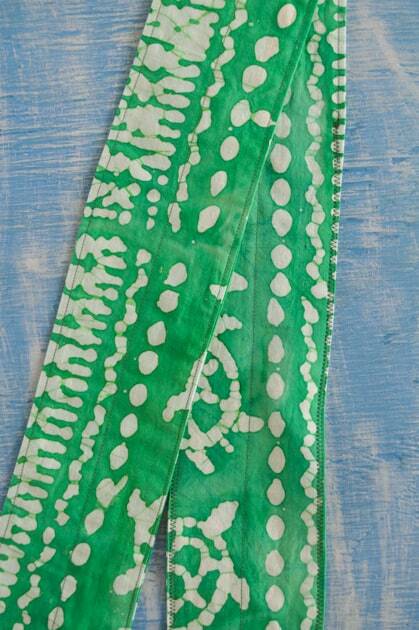 If you buy one yard and only make one pair of warps, you will have fabric left over. 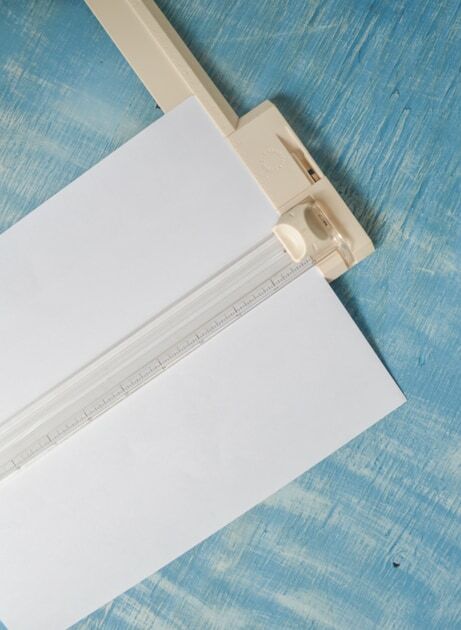 A paper trimmer. I’ve been using this paper trimmer for 3+ years now! A ruler. 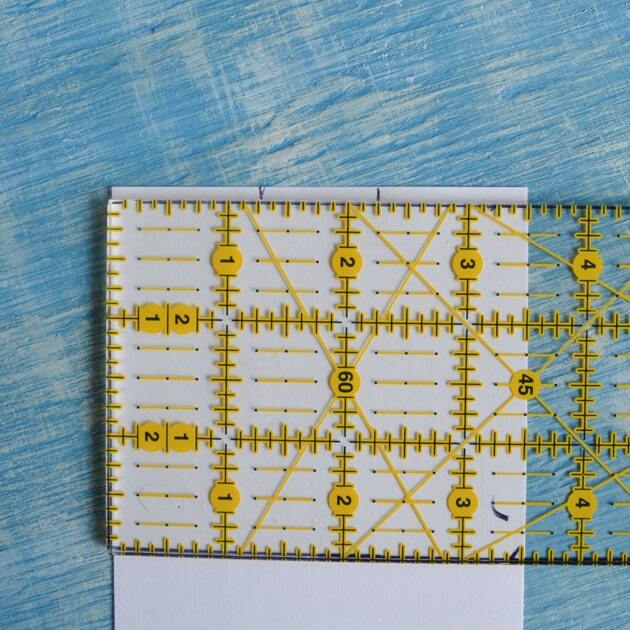 A good ruler makes life so much easier! 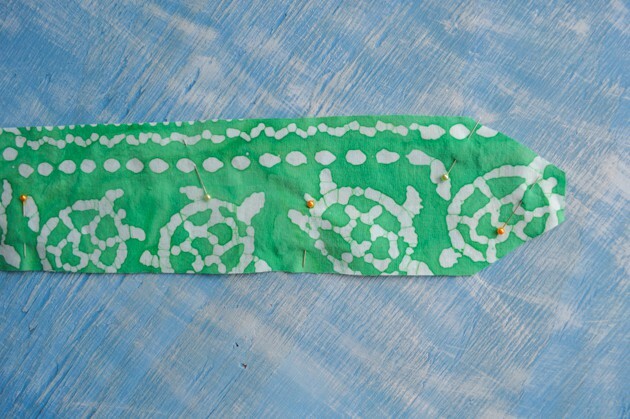 1 yard of pre-washed fabric. A mid-weight cotton works best. Don’t go with something lightweight like a quilting cotton because it won’t give you enough support! A sewing machine (you could sew by hand, but it would take a little while!). I love my Janome HD1000 – it’s a real workhorse. 1. 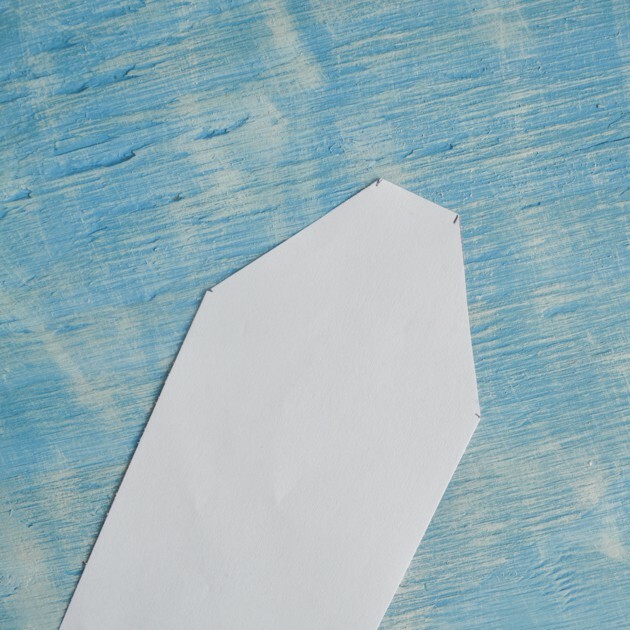 To make the pattern, cut three 11 x 3.5″ pieces from your printer paper. You could make four pieces from the two sheets, but you only need three. 2. 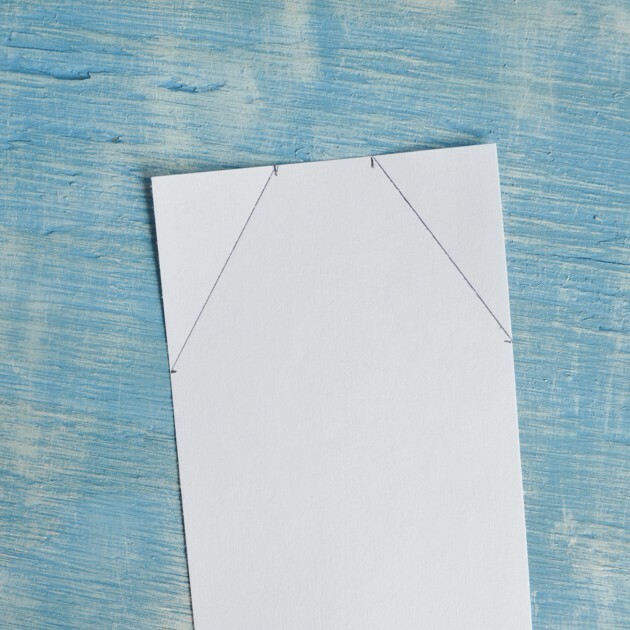 Take one strip of paper and use your ruler to mark off 1.25″ from the left side and then 1.25″ from the right side (the second mark should be at the 2.25″ mark on the ruler) along the narrow edge, as shown. 3. Measure down each side 2″ and make a mark. 4. Draw lines to connect the marks, as shown, to form a point. 5. Cut along the two marked lines. 6. 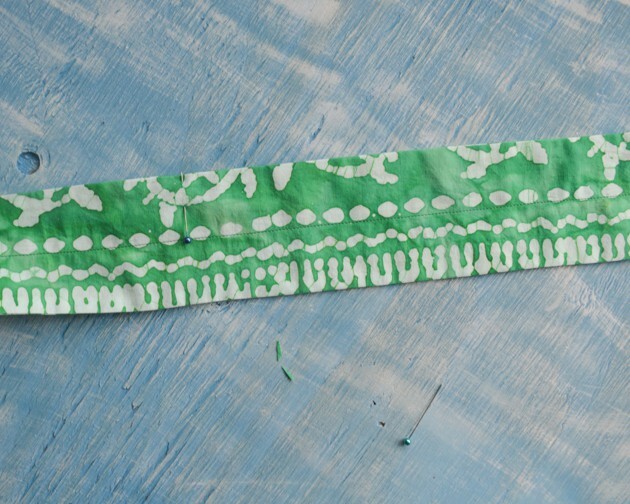 Complete your pattern by taping two non-pointed 11″ strips of paper together and then tape your pointed strip into place on one end. It’s easiest to do this if you overlap the paper very slightly and then tape it in place on both sides. You’re finished with your pattern! 7. Before placing your pattern to cut the fabric, you should iron the fabric. I always iron fabric before cutting anything out because it makes the pieces more exact and the finished product better. 8. 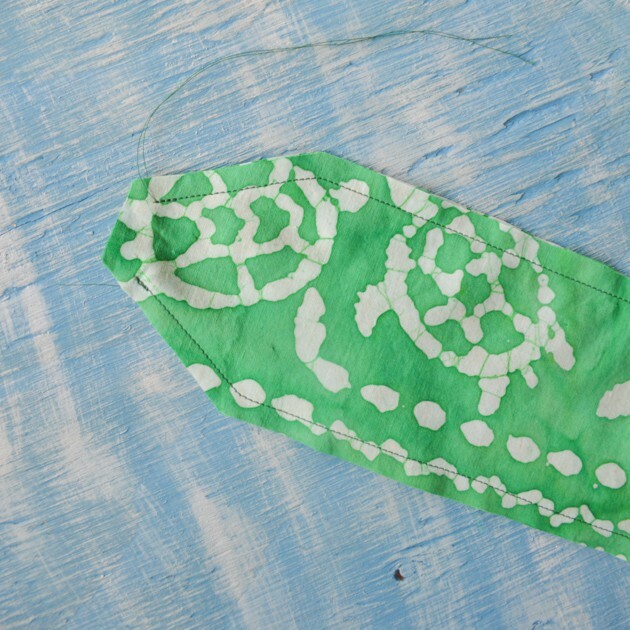 Fold your fabric so that the “right sides” face each other, place the pattern piece, and pin it in place. If your fabric has a distinct directional design, make sure your pattern is placed straight along the design instead of at a funny angle that will make the wraps look sideways. 9. 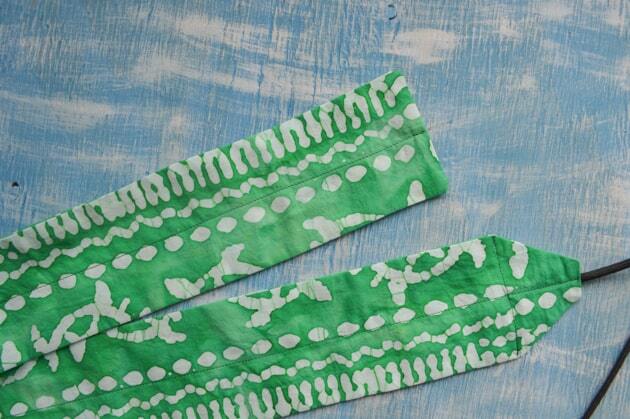 Cut along your pattern through both fabric thicknesses. 10. Repeat steps 8 and 9 to create a the pieces for your second wrap. 11. Your fabric pieces should already be basically lined up and facing each other “wrong side out.” Make sure the ends are lined up as well as possible and then pin them in place. 12. Using a straight stitch, stitch all the way around each set of pieces, but make sure to leave the top point open, as shown. I like to stitch about 1/4″ away from the fabric’s edges. If you take in commercial seam allowances of 5/8″ using the pattern you just made, the wraps will be too narrow. 13. Clip the two bottom corners on each wrap to remove excess fabric. This allows the finished wraps to have crisper points without awkward lumps. 14. Turn the wraps right side out by pulling the fabric out through the open point. 15. Iron the turned wraps, making sure to turn under and press the unfinished edges along the open point. 16. 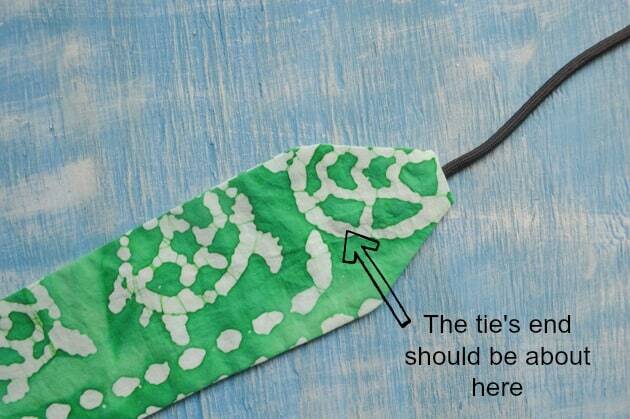 Cut your tie material so you have two pieces that are each approximately 16-17″ long. 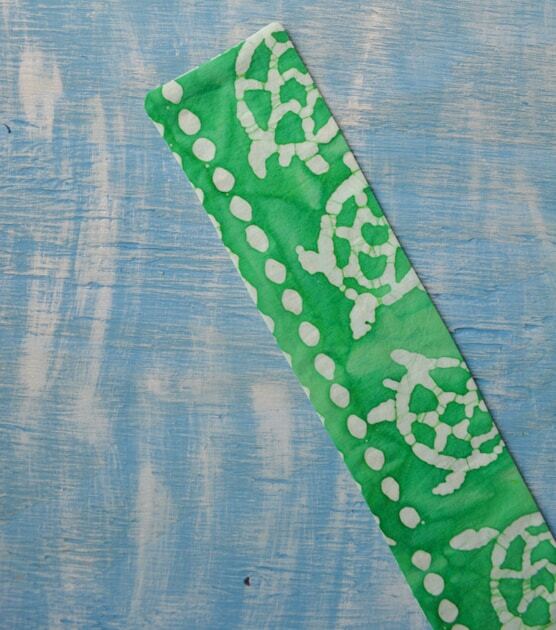 If you’re using twill tape, you can simply knot one end of each tie to prevent the whole tie from fraying. I like to use paracord for my ties. I strip the inner white strands to use just the outer sheet and melt each end with a lighter to prevent unraveling. 17. Insert a tie end through the open hole and pin it in place so that it’s running down the point’s middle and ends just below the “shoulders” of the wrap. Repeat for the second wrap. 18. Carefully stitch straight across from shoulder to shoulder, stitching the tie’s end in place in the process, on each wrap. 19. Starting at the point end, stitch all the way down the middle of each wrap. 20. 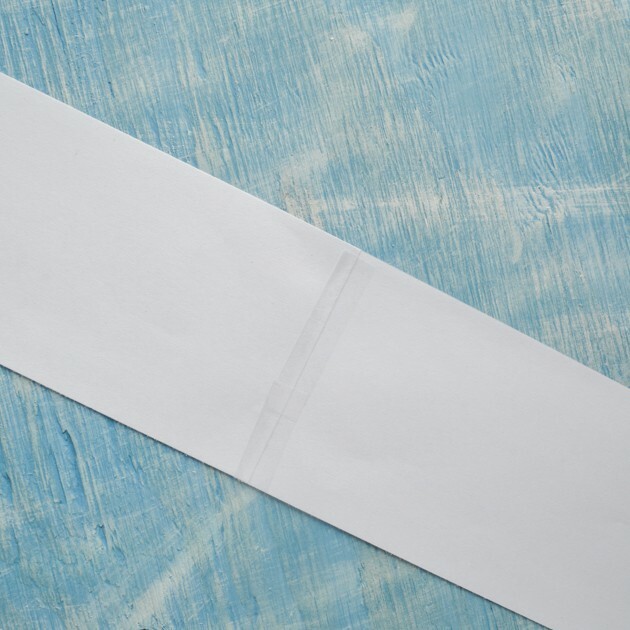 Measure 18″ up from the flat end of each wrap and mark it on both sides with a pin. 21. Straight stitch from one pin, down along the flat edge, and up to the other pin. 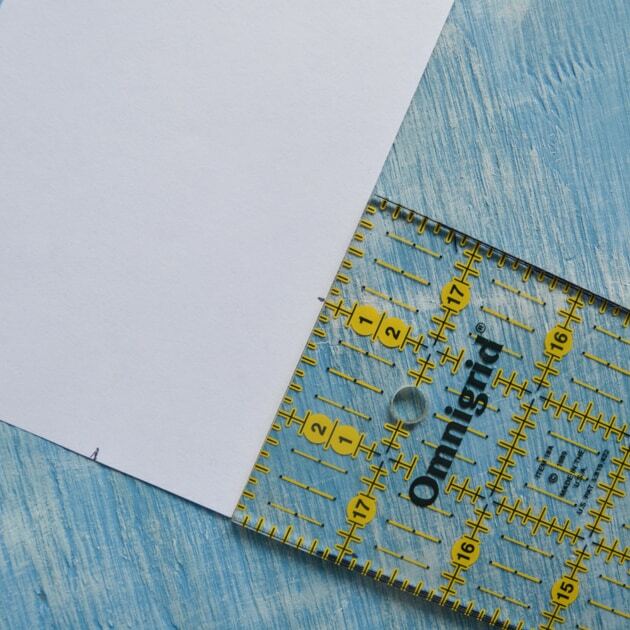 Stitch no more than 1/4″ away from the edge and try to keep the spacing as consistent as possible. Repeat on the other wrap. 22. 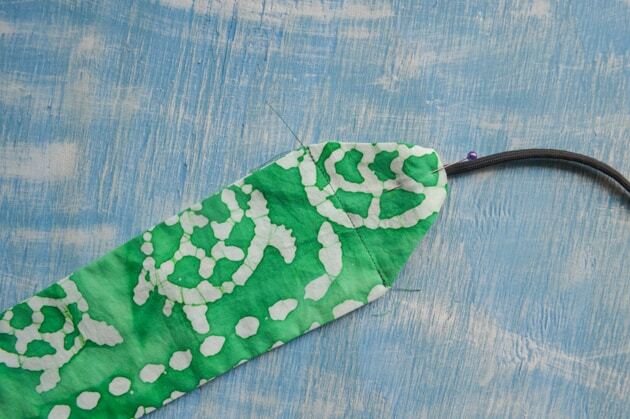 Change your machine to a zigzag stitch and use this stitch to top stitch where you haven’t straight stitched. In other words, the zigzag should go up and around the point, then back down the other side to meet the straight stitching. Overlap the zigzag with the straight stitch slightly, but about 1/2″ or so. Repeat on the second wrap. 23. Iron your wraps one last time and you’re ready to go! These wraps are very easy to wear – just wrap one around your wrist, then wrap the tie around your wrist, tuck the tie underneath itself, and twist slightly to tighten or loosen. 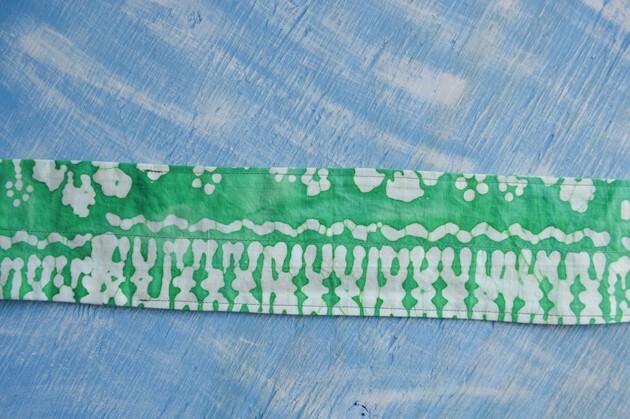 If sewing isn’t really your thing or you’re pressed for time, you can always stop by my Etsy store where I sell a variety of wrist wraps. =) Edit: Sorry, y’all, but Baby has me too busy to sew wrist wraps for sale! This pattern works best with mid-weight fabrics. 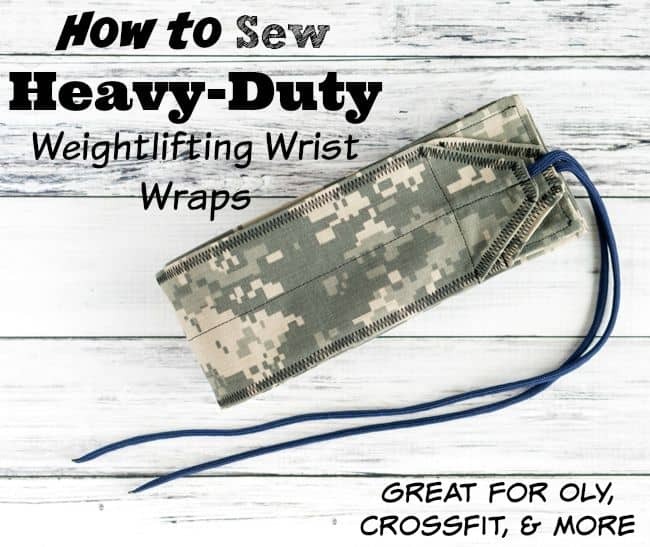 If you want to make a more supportive pair of wrist wraps out of canvas or cotton duck, please stop by my tutorial for heavy duty wrist wraps! I hope you enjoy lifting heavy with your new wrist wraps! How to Make a 3D Sugar Skull Mask from Craft Foam Tutorial is Live! Mine won’t bite/tighten down too much and I picked a fairly hefty printed fabric. Thinking of using interfacing. I have Pellon brand. Just wondering; should I use a cotton one, or just a basic apparel interfacing? Thank you for the help! 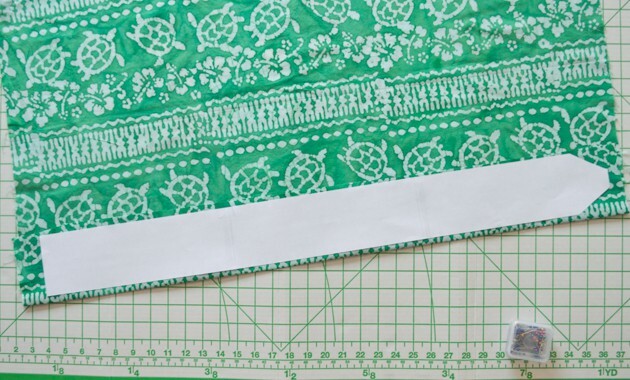 Also, for your stitching, do you use standard length and width? Or do you adjust the stitches in any way? When you say it won’t bite down, do you mean you can’t get them as tight as you’d like while wearing them? If that’s the case, it’s likely the cord slipping and I’d suggest finding something less slippery like cotton twill tape. 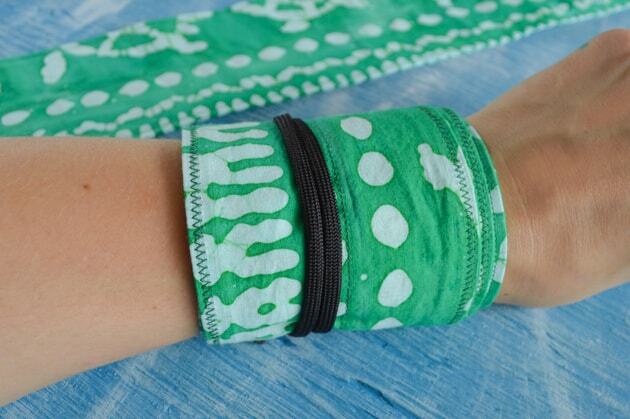 I’ve never used interfacing with wrist wraps because I’m afraid it would make them less breathable and more sweaty, but cotton would probably help mitigate that. Very helpful! I think my stitching may be too tight and the fabric may be too lightweight. What I mean by it won’t bite down is it just spins around my wrist without tightening. Could be the twill tape I have too. For some reason it’s polyester and not cotton.l will be finding a Paracord sometime soon and maybe that will improve them too. I read above that maybe adding duck cloth or lightweight canvas may help? Have you tried that instead of interfacing? Yes, polyester can be slippery! Paracord can be sometimes, too. I’ve found that sometimes even the same brand is different from last time, but I generally like stripped paracord. I usually have to get cotton twill tape online, but it is consistently the least slippery. You could add a piece of light canvas inside. I’ve never done it, but it seems like it should work! I’ve made wristwraps with some pretty lightweight material before, though, so maybe try playing with your tension. Check the bobbin tension, too (you typically tighten or loosen a little screw on the bobbin case). Thank you so much for your responses, the tutorial, and the extra help! I really appreciate this! 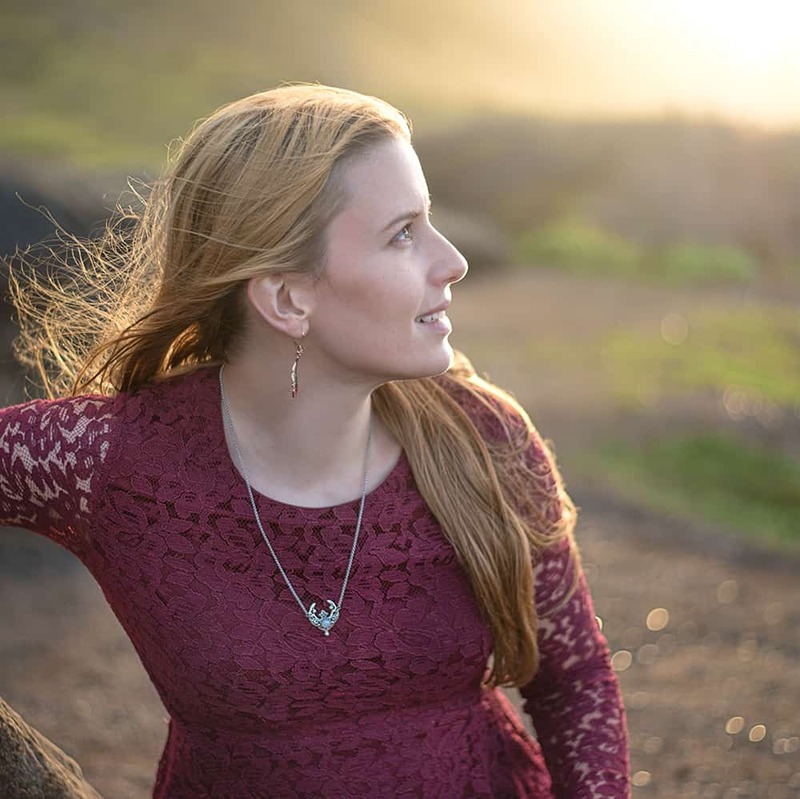 Your tutorials are very well laid out picture wise, and the wording complements and relays the information easily. Thank you, again!